201 Harrison St San Francisco, CA. | MLS# 474744 | Andrew de Vries, Probate Real Estate, San Francisco Probate Real Estate, Oakland Probate Real Estate, Berkeley Probate Real Estate, Alameda Probate Real Estate, Lafayette, Contra Costa Probate Real Estate, Probate realtor, Probate agent, Probate Broker. 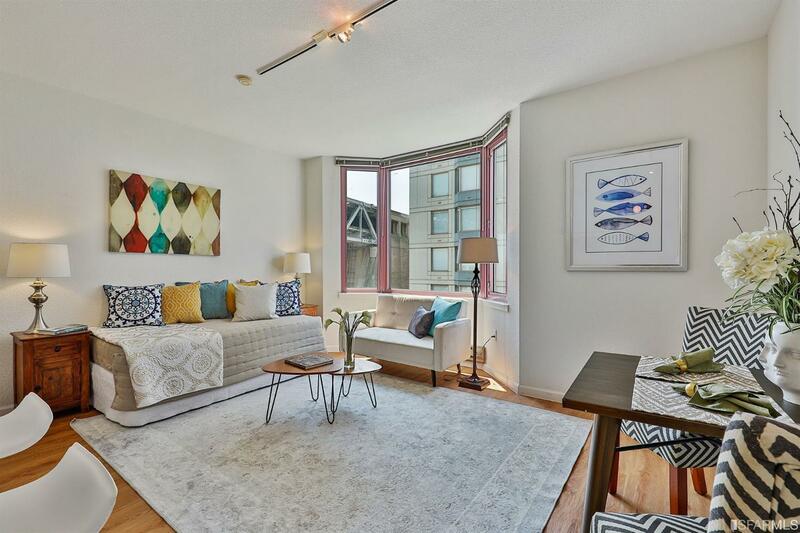 Just Sold - 201 Harrison #502, San Francisco - Listed for $539,000, Just Sold for $565,000 in Three Weeks! - 201 Harrison #502 was a wonderfully-appointed South-Facing Studio Condominium located in the heart of South Beach, Downtown SF and local Financial and High-Tech Hubs. The unit boasted a bright court-yard orientation w/in-unit laundry, breakfast bar, walk-in closet & ample BA w/shower over tub. I provided all personal property liquidation, property cleaning and preparation, disclosures, marketing and negotiations for professional Trustee organization selling on behalf of trust beneficiaries. 201 Harrison #502 is a wonderfully-appointed South-Facing Studio Condominium located in the heart of South Beach, Downtown SF and local Financial and High-Tech Hubs. The unit boasts a bright court-yard orientation w/in-unit laundry, breakfast bar, walk-in closet & ample BA w/shower over tub. New paint & laminate floors run thru-out. The well-maintained BayCrest Towers features complete amenities for today's active lifestyles: 24/7 door security, gym, pool, sauna, racquetball, BBQ, 1 car parking & more. Wonderful location, walking distance to the best in SF Living: the Waterfront, SOMA, stadiums, downtown shopping, dining & nightlife, PLUS easy access to the Bay Bridge, 101/280, MUNI & CalTrains. Come out & see your new home or pied-a-terre!